The History of the English Puppet Theatre. By George Speaight. 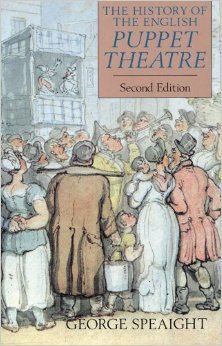 First published in the 1950s and updated in 1990 this could seem an outdated volume on an aspect of theatre that had long since disappeared apart from at children’s parties and on TV. Since its reprint a quarter of a century ago puppetry has re-entered the mainstream and is no longer seen as ‘just for kids’. Last month we reviewed Dead Dog in a Suitcase by Kneehigh – a musical play for older children and teenagers that used used puppetry as part of the show. Today it appears puppetry has come of age where it can seemlessly form part of a play watched by adults and no longer confined to Punch and Judy and other traditional puppet shows for children. Speaight traces the origins of puppetry from the masked performers of Rome and Greece to the mummers of the middle ages, the comedie d’art of medieval France and finally the ealy puppet theatres of Civil War England. Meet the Lupinos who travelled to this country in the time of Shakespeare, and the Jones family who toured their puppet theatre in 1630s London. In flowing prose Speaight charts Punchinello, Jacobean puppetry and the rise of Georgian Patagonian theatre and Mr Punch. 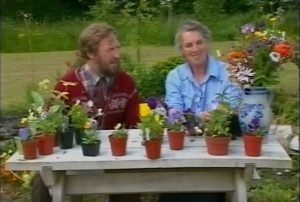 We don’t have a national puppet theatre, but at least his wishes for puppetry to have come of age have taken place within a decade of his death in 2005. The book is still available online and at most lending libraries.